Food is the red center of the target on everyone’s agenda this coming year. How can you support your customers with the ever growing health concern of the day? How can you still stay in business if you have a menu that is not in line with people changing in your area? Saying you are not busy? How can you change that? 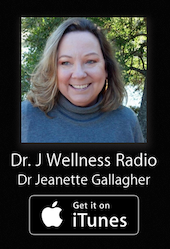 Stop right now and ask for a complimentary telephone discussion with Dr. J. to share what you are thinking, in turn, she will share what she is hearing and help immediately, submit request here. Over the next several months, we will be talking about restaurants. What they serve, what they offer, what they add to the food, and what improvements or disappointments are occurring. Food is expensive and it is not wise to throw it out or destroy its healthy content. If you own a restaurant and would like to have a discussion about how you can improve or make changes in your offerings, ask Dr. Gallagher for information about her consulting options here. Consults include food safety, occupational safety, consumer safety and employee education plans. It may be great if you offer organic foods, but if your staff does not treat the items correctly, it is an expensive venture that is useless. Food borne illness, work injuries, and the overall picture of your establishment should reflect the owner’s personal mission. Have everyone on board and succeed in producing those results.